Hi Abisaac! Just a note about Blue Plate Diner - the last time I was there, they were labeling items "gluten free" that were fried in contaminated oil (e.g., sweet potato fries). I talked to the manager and the owner. They were really good and said they would fix it on their next menu printing, but I haven't been back since to see if it's been done. How's a person to know otherwise? I guess asking questions when dining are the key! By the way, I came across your site a few days ago - really nice job! 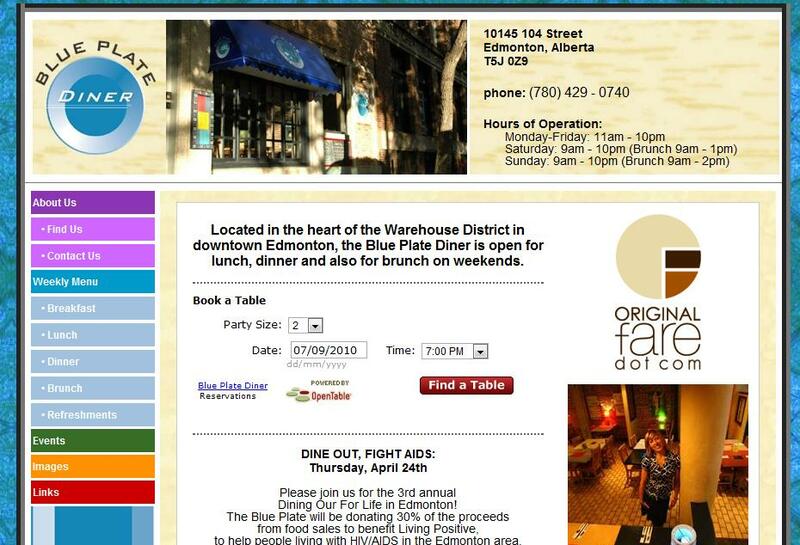 Great idea to have a gluten free directory for the Taste of Edmonton too. I believe you've been on my site because I recognize your name from a few comments? Thanks for the update. Your right, its all about asking the right questions. I have been to your blog and posted a couple comments. Great stuff! I think I referenced an article from one your blog posts to tell people to go check it out. Glad you enjoy our blog as well. Hi there, Just an update for you if you are interested. I went to the Blue Plate today and had their brunch. They only have the Ranch Eggs listed as the one gluten free option so that is what I ordered. I always make sure they know I can't have anything that has gone near gluten when eating out and the waitress came back and told me the potatoes used to be baked but now are fried in the same oil as gluten containing items. So..she offered me some GF toast instead. Then she came back again and told me the corn tortillas which is the base of the meal are also fried in that same oil so she offered me more toast. So basically the only item on the menu that is GF is not really at all. I was given 3 pieces of toast with a couple of eggs and beans. It was good but I was disappointed and probably won't go back due to a lack of effort on their part to keep the one gluten free item on the menu truly gluten free for us Celiacs. 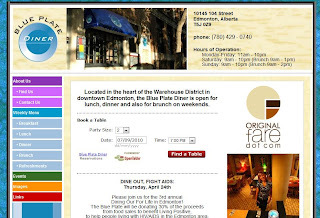 I gave up on Blue Plate a few years ago after three bad experiences in a row where the kitchen seemed unable to understand even the basic concept of GF, serving me food with gluten after assuring me it was GF (on a bed of couscous instead of broken rice, salads where they took the non-GF croutons off the top but they were still in the lower layers etc). The serving staff assured me they had been clear with the kitchen. I am mystified by anyone considering this restaurant to be celiac-friendly. As you can see from the comments above, things have not changed. Please remove them from the gluten-free listings. Just because a restaurant SAYS they are celiac friendly does not mean they are.